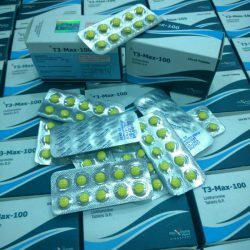 Excipients: mannitol 26.0 mg, hypromellose 1.50 mg, polysorbate 80,125 mg, crospovidone 2,125 mg, silicon dioxide colloid 0,125 mg, cellulose microcrystalline 4,625 mg, sodium carboxymethyl starch 2,375 mg, magnesium stearate 0.625 mg. Ink composition : shellac, ethanol, isobutanol, iron oxide dye (E 172), titanium dioxide (E 171). Round, biconvex tablets white or white with a grayish shade of color, covered with sugar shell, labeled “7663” on one side, made with black paint. Common breast cancer in women in natural or induced postmenopause, including the progression of the disease against the background of anti-estrogen therapy, as well as the progression of the disease after repeated use of various types of hormonal therapy. 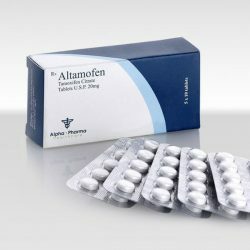 Adjuvant therapy for early breast cancer in postmenopausal women with estrogen-positive receptors or an unknown receptor status, after 2-3 years of initial adjuvant therapy with tamoxifen, to reduce the risk of relapse (distant or regional) and contralateral breast cancer. 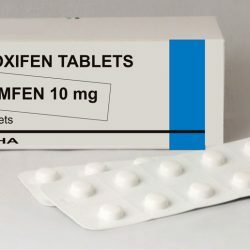 Hypersensitivity to exemestane or any other component of the drug. 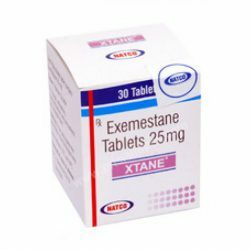 The use of exemestane during pregnancy is prohibited due to the potential risk to the fetus. The drug should also not be given during breastfeeding. 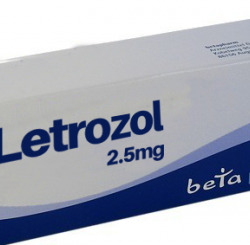 The recommended dose is 25 mg once a day, preferably after a meal. In patients with early breast cancer, treatment with the drug is recommended to continue until the total duration of successive adjuvant hormone therapy reaches 5 years. Treatment of patients with advanced breast cancer is a long one. 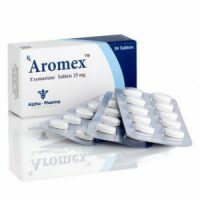 If there is evidence of progression of the tumor or when contralateral breast cancer appears, treatment with Aromex should be discontinued. Correction of the dose is not required. It is not recommended for use in children. 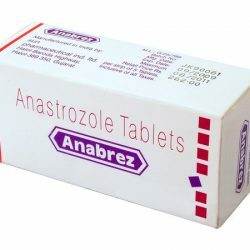 In general, tolerability of Aromex is good; The undesirable effects with the use of the drug at a dose of 25 mg / day are mostly minor or moderately pronounced. The following undesirable reactions are distributed according to system-organ classes and frequency: very often (≥1 / 10), often (≥ 1/100, but <1/10) infrequently (≥ 1/1000, but <1/100) , rarely (≥ 1/10 000, but <1/1000). Metabolic disorders and eating disorders : often – anorexia. Disturbances from the gastrointestinal tract : very often – abdominal pain, nausea; often – vomiting, diarrhea, constipation, dyspepsia, increased appetite; infrequently – stomach ulcer *. Mental disorders: very often – depression, insomnia. Disturbances from the nervous system : very often – headache, dizziness; often – anxiety, confusion, carpal tunnel syndrome, paresthesia, hypoesthesia, asthenia; infrequently, neuropathy. Heart disorders : often – heart failure; infrequently, myocardial infarction. Disorders from the skin and subcutaneous tissues : very often – excessive sweating; often alopecia, rash, itching, dermatitis. Disorders from the musculoskeletal and bone tissues : very often joint and musculoskeletal pain (including arthralgia, pain in the extremities, back pain, arthritis, myalgia); often – fracture, osteoporosis. Disorders from the side of the organ of vision : often – impaired vision. Violations from the vessels : very often – increased blood pressure, “hot flashes”. 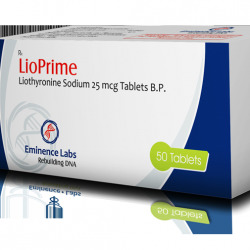 Disorders from the liver and bile ducts : very often – increased activity of liver enzymes, increased bilirubin concentration in the blood, increased activity of alkaline phosphatase in the blood. Disturbances from the respiratory system, chest and mediastinum : often – shortness of breath, cough, bronchitis, sinusitis, pharyngitis, rhinitis, chest pain, upper respiratory tract infections. Disorders from the kidneys and urinary tract : often – urinary tract infections. Disturbances from the blood and lymphatic system : often lymphedema. General disorders and disorders at the injection site : very often – pain, fatigue; often – peripheral edema, flu-like syndrome, fever, general weakness, infection. Approximately 20% of patients (especially in patients with initial lymphopenia) experienced a periodic decrease in the number of lymphocytes. However, the average number of lymphocytes in these patients did not change significantly with time, and a concomitant increase in the incidence of viral infections was not observed. Disorders from the immune system : infrequently – hypersensitivity reactions. Disorders from the liver and bile ducts : rarely – hepatitis, cholestatic hepatitis. Disturbances from the skin and subcutaneous tissues : often – hives; rarely – acute generalized exanthematous pustulosis. A single dose of the drug, which could cause the appearance of life-threatening symptoms, is not established. The use of exemestane in a single dose of up to 800 mg in healthy women and in a daily dose of up to 600 mg in postmenopausal women with advanced breast cancer was well tolerated. There are no specific antidotes. Treatment is symptomatic under regular monitoring of vital functions and careful monitoring. 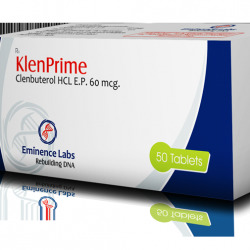 Preparations containing estrogens completely neutralize the pharmacological action of exemestane. 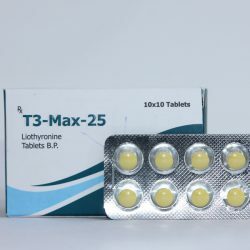 The drug is metabolized by cytochrome P450 (CYP) 3A4 and aldoketoreductases, and does not inhibit any of the major CYP isoenzymes. The specific inhibition of the CYP3A4 isoenzyme by ketoconazole does not significantly affect the pharmacokinetics of exemestane. Despite the established pharmacokinetic interaction of exemestane with rifampicin, a strong inducer of the isoenzyme CYP3A4, the pharmacological activity of the drug Aromex (suppression of estrogens) remains unchanged, so dose adjustment is not required. 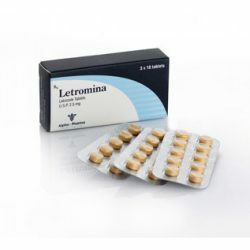 Aromex should not be given to women with premenopausal endocrine status, therefore, in cases where it is clinically justified, postmenopausal status should be confirmed by determining the levels of LH, FSH and estradiol. Aromex should not be prescribed concomitantly with preparations containing estrogens. 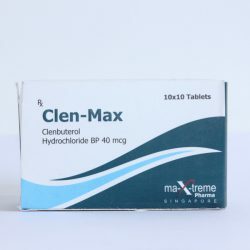 In connection with the powerful estrogen-lowering effect of exemestane, a decrease in bone mineral density is possible. Prior to the initiation of adjuvant therapy with exemestane, densitometry is recommended to assess bone mineral density in women with osteoporosis or an increased risk of osteoporosis. During treatment with exemestane, special monitoring of women with osteoporosis with the appointment of appropriate therapy is necessary. Due to the high prevalence of severe vitamin D deficiency in patients with early breast cancer, prior to initiation of therapy with an aromatase inhibitor, the concentration of vitamin D in the blood plasma should be determined. 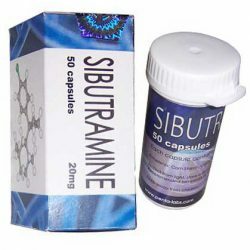 When detecting a failure, prescribe medications containing this vitamin.